While Atlanta’s housing market remains stuck in low gear, the trend toward certified green or “sustainable” homes has been growing. More builders are adopting sustainable practices and more buyers are weighing the economic benefit of paying a little extra up front for a house featuring environmentally sound design, construction standards and materials. “Even if the economy had not gone sour, people are looking at sustainable practices and materials, not just for housing, but for the entire neighborhood,” said Sibet Freides, president of Idea Associates Inc., a marketing and consulting firm with a real estate development focus. 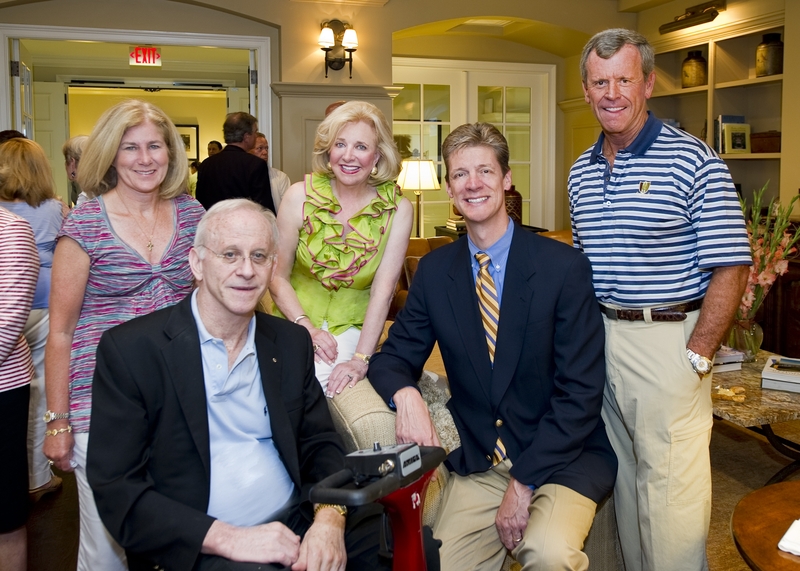 Idea Associates clients include Reynolds Signature Communities, The Settings Development Companies LLC and Urban Land Institute. 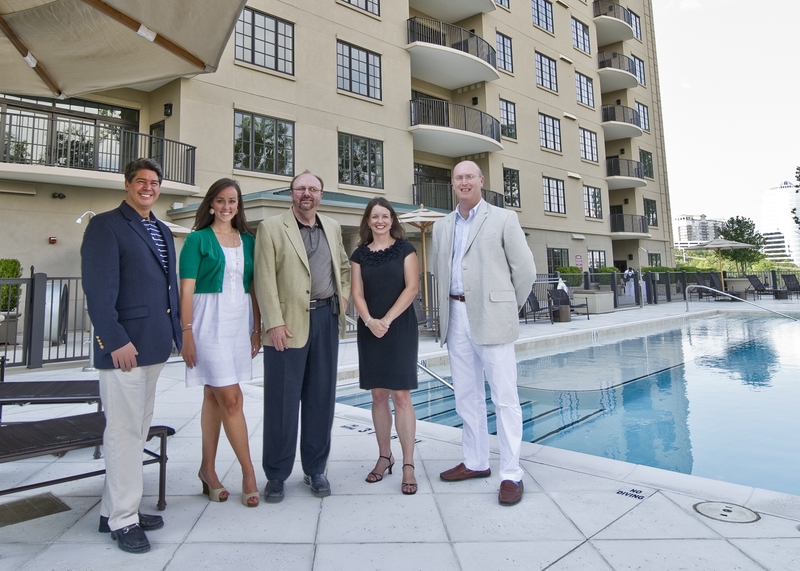 Matthews is a certified EcoBroker and the author of a blog, www.GreenToTheScene.com, which delivers news about green residential building in Atlanta. In April, Matthews launched the Green MLS Toolkit, a resource that can be used by any Multiple Listing Service to track green activity. In the first three months of 2010, Matthews reported that the median selling price of a certified green home was $494,000, which is 133.5 percent higher than a conventional new construction home; however, the report shows green homes are fetching more at closing. 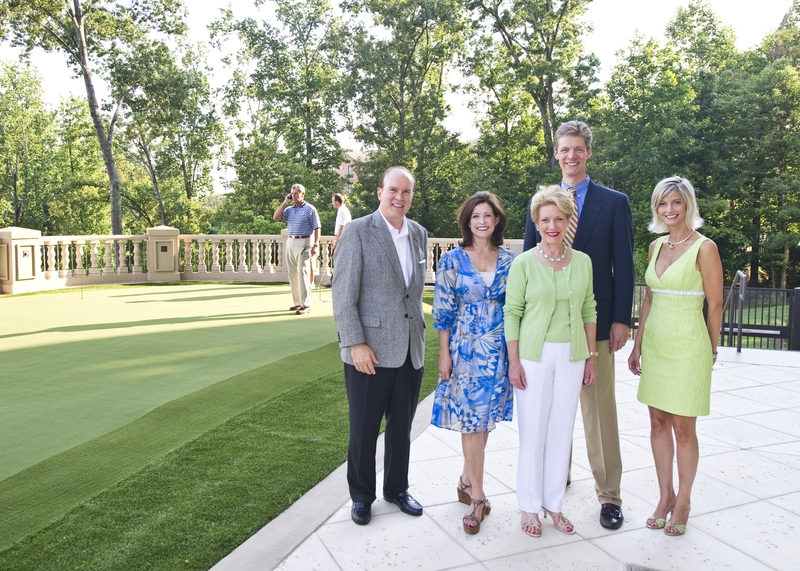 “Green building is here to stay,” said Les Stumpff, president of the Greater Atlanta Home Builders Association (GAHBA) and regional manager for Texas-based Standard Renewable Energy, which provides energy audits for homeowners, businesses and government entities. “There is a growing awareness of how much energy and water and, therefore, money can be saved by owning a home built to some level of green-building standards,” Stumpff said. Other benefits, such as better indoor air quality and overall comfort, will increasingly propel demand for green homes. “The housing recession has made it more difficult to adopt building standards that increase new home prices, but builders who were building green in good times will continue to build green as housing starts return,” Stumpff said. Although they cost a little more, the formula for building green houses is not very complicated, said Matt Hoots, founder and CEO of The Hoots Group Inc., a full-service green contractor, and co-chair of the GAHBA Green Building Council. Together with the GAHBA, Hoots helped develop the EarthCraft House residential green-building program in partnership with Southface Energy Institute, a nonprofit educational organization dedicated to promoting environmentally sustainable homes. Every aspect of the design is critical, from sighting the house on the lot to putting windows in the best location to ease the load on the HVAC system and limit the cost of blinds. As materials, utility and appliance manufacturers jump on the sustainable bandwagon, the expense gap between building green and building traditional housing is diminishing — resulting in more reasonable pricing for higher- performing homes, experts say. 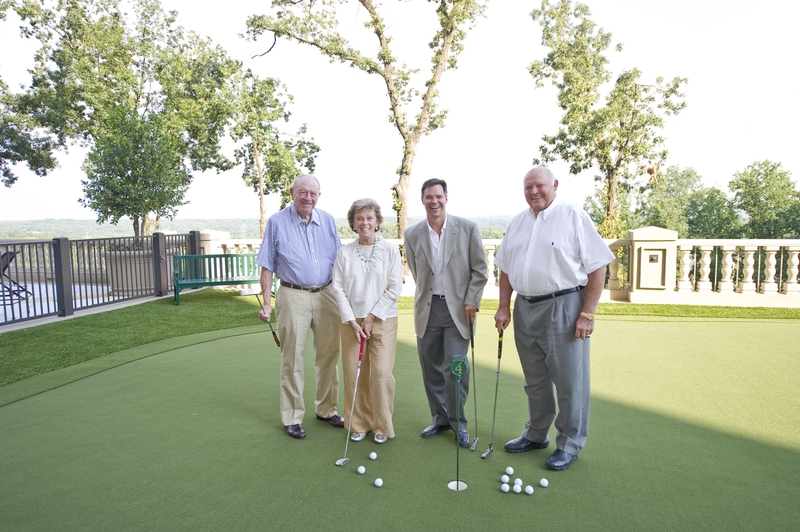 Currently, Freides’ clients are building two new showcase green homes, one in The Settings of West Point Lake near LaGrange, and one at Achasta, a golf community near Dahlonega. Both houses are being built by Johnna Barrett of SUSTAIN house, the residential division of Atlanta-based architecture and interior design firm Barrett Design Inc.
“We started with a budget and we’re learning that it doesn’t have to cost that much more to build green,” Freides said. Among other products, the green houses incorporate a radiant barrier sheathing that reportedly reduces monthly air conditioning bills by 17 percent, green bedding products, and tile and wood components made from recycled materials. “A lot of this stuff is common sense and people need to be educated about the products and building practices that are available,” Freides said. How would you like to live in a house that is immaculate and spacious enough for you to delight in being home, but close enough that you could walk to city centre of Decatur to enjoy the renowned shopping, night life and art galleries? All this and more is found at 2470 Vivian Circle, nestled in a charming gated community. Upon entering the French door entry, the home features a foyer that is a greeting space for guests and provides privacy for the main living areas. The two front rooms of the house, the Dining room and the Living room, are flanked by majestic and bright floor to ceiling arched windows that fill the house with sunlight. The Dining room, sized to entertain twelve or more guests, features grand windows wainscot to distinguish the room with a formal touch. The Living room is cheerful and versatile which could lend itself to a wonderful home office or additional media space. The Den area has gleaming hardwood floors, cozy stack stone fireplace with gas logs, overhead ceiling fan and a door leading to the outside deck. The Kitchen features stainless steel appliances and clean contemporary lines and as a bonus, overlooks the family living area so entertaining is made more enjoyable as the host doesn’t have to miss a bit of the conversation when preparing for guests. Food preparation is made simple with an island featuring a sink and fresh Corian countertops. Just off the kitchen there is a bright separate breakfast area that also leads to a full laundry room. You won’t feel a bit cramped in this home- the wide stairwell has a mid-stairwell landing between the main and upper floor affording space for a conversation nook! The upstairs Master is a true in-town retreat, larger than most, and features a dramatic trey ceiling and two large walk-in closets- one located in the bath area. The bath features a double vanity and a separate spa soaking tub. The secondary bedrooms on the upper level all feature hardwood floors, trey ceilings and full closets. On the terrace level, there are two additional bedrooms. At present, one is being used as an office and the other an exercise room, but both have full closets and share a full hall bath. These rooms would work well as a roommate floor plan. The outside deck has a screen for privacy. From the deck, you can access the yard and the two full separate garage bays. As a welcomed addition, the driveway can accommodate extra cars-a sought after feature for in-town living! Five bedrooms, three full and one half baths. 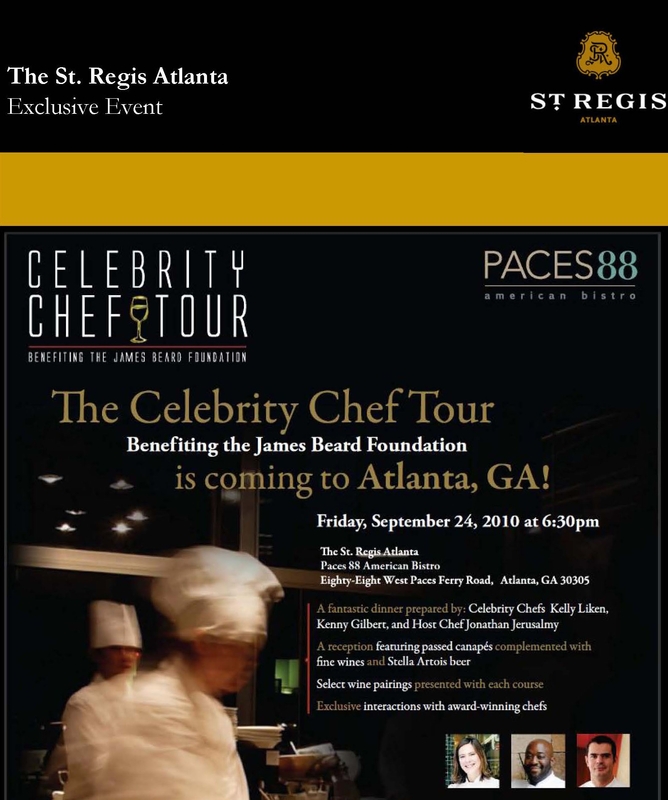 Join Celebrity Chefs Kelly Liken, Kenny Gilbert and Chef Host Johnathan Jerusalmy in September for a premiere evening at the St. Regis’ Paces 88 American Bistro. The evening will include a reception, dinner prepared by the chefs and a unique opportunity to interact with the chefs. 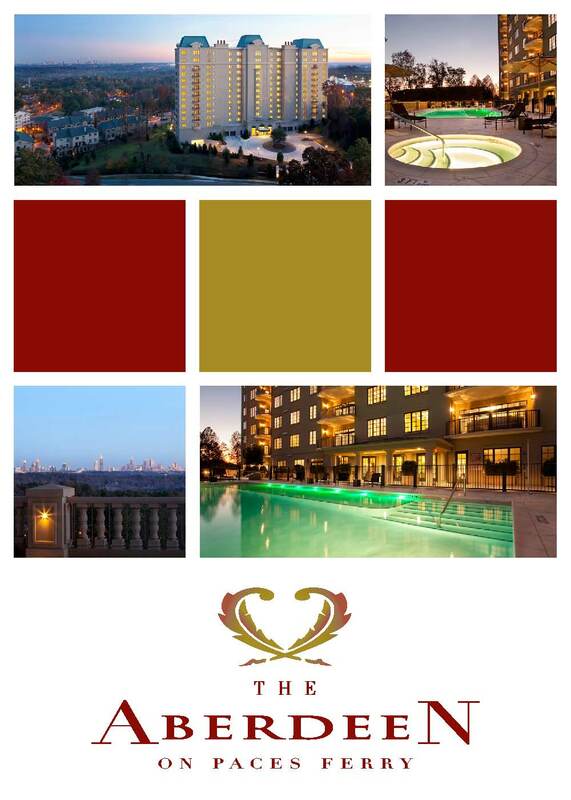 In the heart of Atlanta’s prestigious Buckhead community, Eighty-Eighty West Paces Ferry undeniably leads the list of the city’s most exclusive addresses The Residences at The St. Regis Atlanta, located on the top fifteen floors of the building, inspires a luxury lifestyle that is inspired by the magnificent views and extraordinary standards of urban living that simply cannot be found elsewhere. In purchasing your present home – you took inventory of your needs, wants and capabilities and matched them as best you could against what the housing market had to offer. The process may have taken a few weeks, a few months or extended over a longer period. You did your homework and made a good choice. Would you make the same choice today? Perhaps not! So here’s the good news! Today’s choices are greater than ever and finding a home to match your capability is easier than it’s been in years. When it comes to housing alternatives, Atlanta has many. It’s almost overwhelming how many different sizes, types and locations are available. And, with today’s home prices and interest rates, these choices are extremely attractive. Depending on location, prices have fallen 15-25% below previous levels and interest rates are at record lows, down 20-25% as well. Purchasing a home that was $500,000 before and is now available for $425,000 (using an 80%, 30 year, fixed rate loan at 4.5% rather 5.5% in effect earlier this year) will cost about $550 less per month. That’s $15,000 less in down payment and almost $6,600 a year in monthly savings! Move-up buyers can capture today’s lower prices and interest rates and easily absorb the “hit” they take on the sale of their present home. Those choosing to down-size can reap the benefits of lower interest cost financing, lower taxes, utility and maintenance expenses and “right-size” their homes for easier living. The equity freed up, even though less than hoped for, will go a long way toward funding investment capital or retirement reserves. Now may be the perfect time to give some thought to whether you want to take advantage of the current situation and reposition your housing choice for the future. 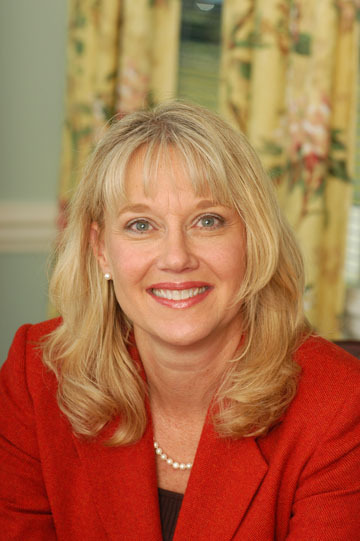 Home prices will rebound and interest rates will rise again. The time to move is now! If you would like a copy of our “Inventory of Changing Needs and Wants,” please email me at StramaTeam@AtlantaFineHomes.com and I will be glad to send it. Here is the home you have been waiting for! This stately five bedroom Georgian home is rich in detail and depth, and is located in the heart of Brookhaven but delivers the privacy of a secluded envclave. Your guests can be “dropped off” on Osborne Road, while family and friends can enter from a private carriage drive on Kendrick Road. The location is simply amazing. 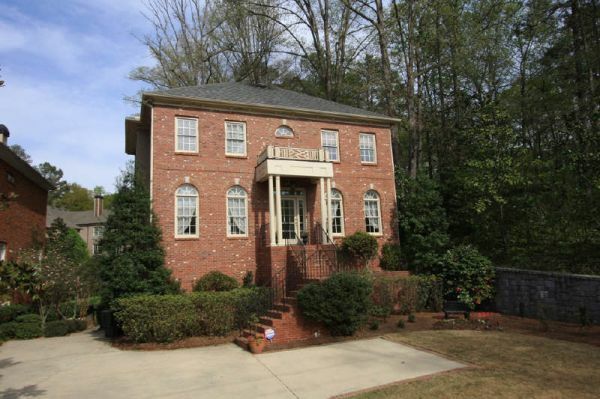 The home is situated near a popular dog park — providing access to a wonderful community with fabulous opportunities to meet your neighbors, — and is also close to the MARTA station and is within walking distance to restaurants and shopping. 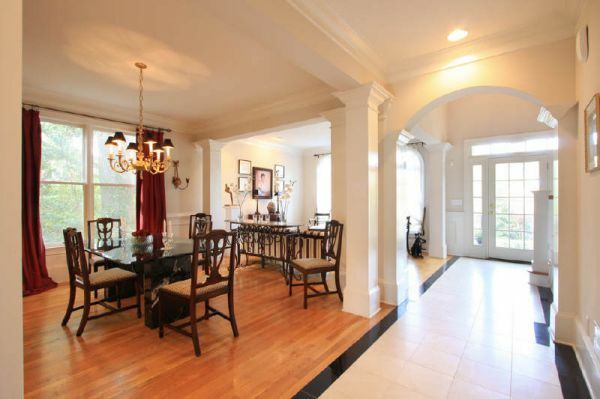 The inside of 2801 Osborne Road might surprise you. From floor to ceiling there are expansive details that will delight your eye. 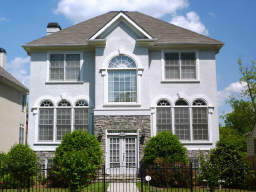 The two-story entry is graced by outstanding columns and arches and the polished travertine floors boast marble inlays. The designer touch continues throughout the house with amazing detail in the rich moldings. 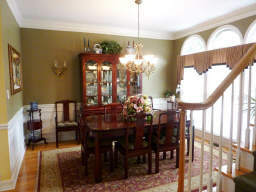 Columns divide the living and dining areas. 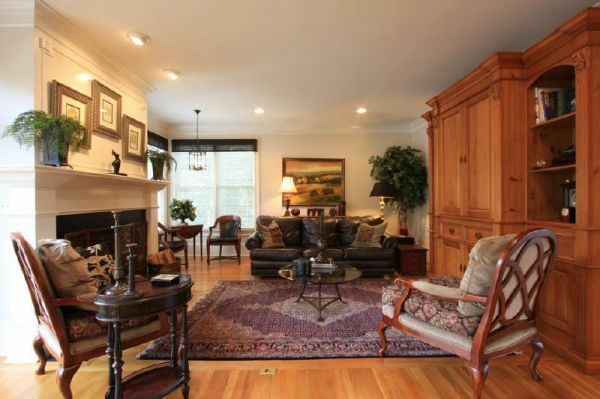 The handsome family room makes for delightful conversation next to the wood-burning fireplace or a quiet evening of reading as you choose a classic from the custom cabinets. Also on the main level is a home office/guest bedroom with full bath. The sleek kitchen has a walk-in pantry, upgraded maple cabinets and a breakfast bar for three. 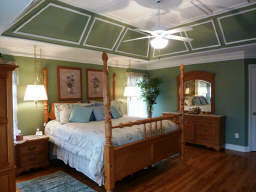 The master bedroom features a custom painted double trey ceiling, a large master closet and a bathroom with a separate shower and spectacular soaking tub, not to mention the double vanities, separate toilet room and a trey ceiling. The two upstairs secondary bedrooms are large and share a jack’n jill bath. There are guest rooms on the main level as well as one located in the terrace level — both have a full bath. The extra “elbow” room of this house will not disappoint! The home is over 3,000 square feet, not counting the terrace level. The very large recreation room on the terrace level opens to the patio, and the backyard is fenced on three sides with more than enough room for a playset or a game of kickball! You will love the deck with Chippendale railings that can be accessed by two sets of french doors. There is a walkway that leads from the deck to the backyard and down to the driveway. 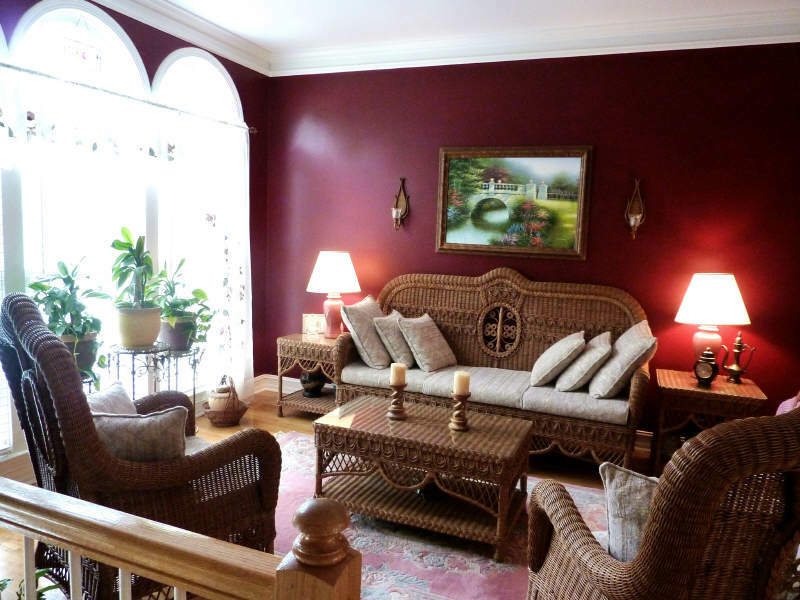 This house is stunning in its traditional feel but is built with today’s lifestyle in mind.